Is my condition Chronic or Acute? Ever stood in front of a pharmacy isle thinking… Mmmmm is my condition chronic or acute? Now that’s the million dollar question! So instead I visited my GP, spent big bucks again only to end up taking a product that left me with vision-altering side effects….. wow, so back to the pharmacy isle again for a few hours contemplating on the correct severity of my condition. Perhaps if id brought my tablet along I could Google it! By definition, acute means the condition has been present for a short period of time and basically started rapidly; didn’t take long to occur or drag itself out from the onset. We then move onto sub-acute which is almost like the peanut butter between ones sandwich [the middle line so to say]. For me, sub-acute medication would be the next step I would take if the acute medication didn’t do the trick; and last but definitely not least is the chronic phase. A chronic condition has basically overstayed its welcome lasting for 4 weeks or more with certain days been worse than others. Some medications have the word chronic written on them whereas others stick to the term severe. Chronic medication is also often what GP or Specialist prescribed so you may find it difficult to locate these types of products on the pharmacy isle. How Smoking affects your Sinuses? Have you even wondered what smoking does to your sinuses, you don’t have to look far… just look at the filter at the end of the cigarette. This filter is covered in black or brown gunk which provides a clear indication of what’s happening to a person’s lungs and sinuses. The lining of the nose and sinuses is the same as the lining in the lung which has cilia (tiny hair-like structures), that clean the nose, sinuses, and lungs of airborne particulate matter, bacteria and mucous. When one smokes the cilia lining the nose, sinuses and lungs stop working which predisposes the smoker to increased infections of the lungs and sinuses. Normally, all that mucus travels to the back of your throat and you swallow it. 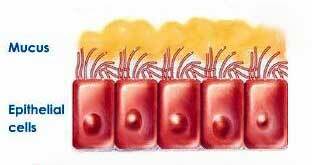 When the cilia are damaged and stop moving the mucus out, it backs up in the sinuses and bacteria start to multiply there. The weaker the sinuses become, the greater the impact it will have on a person. 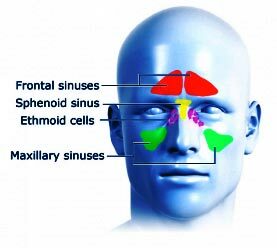 The sinuses become more congested and more blocked due to the mucus membranes becoming irritated and inflamed causing more build up of mucous. This can then lead to a sinus infection with pain, headache, pressure, congestion, a runny nose, difficulty breathing and a reduced sense of smell. Exposure to a secondhand smoke appears to be one of the factors that predispose you to Chronic Sinusitis with more people diagnosed with it after being exposed to secondhand smoke. Secondhand smoke can have the same affect on your nose, sinuses, and lungs as it does on a primary smoke and has been linked to snoring, respiratory infections, and ear infections in children. Smoking is not just bad for your health, but also for people living around you.